Beginning in 1990 and continuing for the next fifteen years, Pleasure Island celebrated each evening as if it were New Year’s Eve. Throwing a fantastic celebration every night centered around the New Year did not necessarily exclude other massive parties, focusing on other days of the year, from spilling out into the streets. One such holiday that filled the air and alleys of Pleasure Island was Mardi Gras, the perfect party cohort to New Year’s Eve. 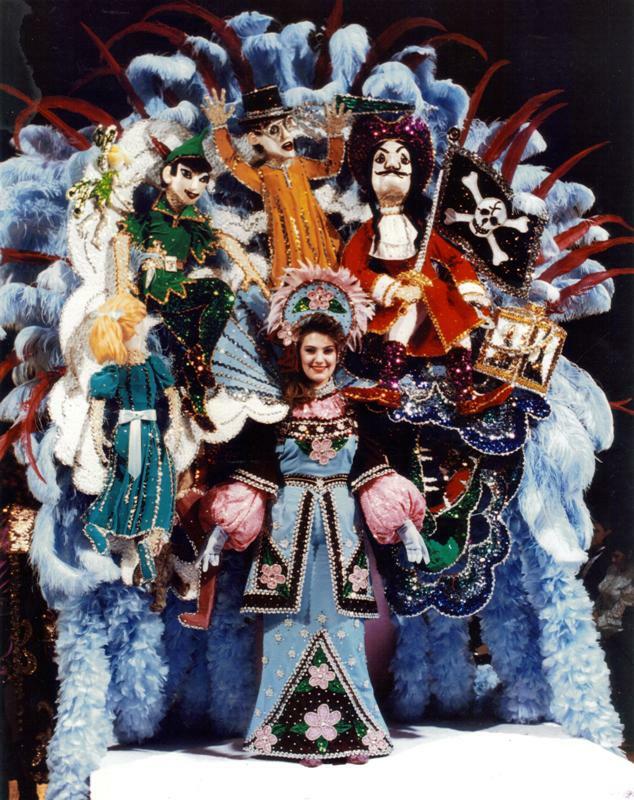 1991 marked the first occasion in the one-hundred and fifty year history of New Orleans’ Mardi Gras parade that the Krewes traveled away from their home streets. Among other Krewes, the King, Queen, Captain and Eight Maids of Caesar made their Pleasure Island debut on February 12 and 13, 1991. To make the homesick merrymakers feel a little more at ease the speakers of Pleasure Island blared French Quarter jazz and the scent of Creole cooking filled the air. It is both fitting, and perhaps a bit unsettling, that one of the Eight Maids of Caesar strutted through New Orleans and Pleasure Island draped in sequined Never Never Land inhabitants.